Usually in a design cycle, FE modeling and simulations are performed once the concept CAD is generated. 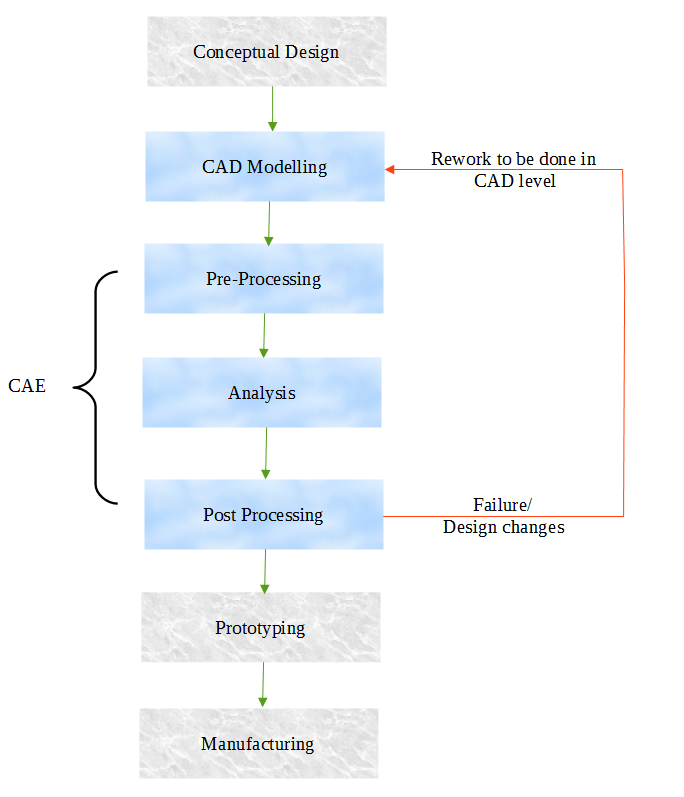 With the need to reduce design iterations, it will be useful if the concept changes are made in the FE model itself, taking the time required for CAD generation off the cycle. This can be achieved by Mesh Morphing. Morphing as the name suggests is an adaptation of given shape to a new form. The same concept is used in case of mesh morphing. In this method, the concept model or the donor model can be modified/altered to required proportions to create new designs using morphing techniques. DEP Mesh Works is a feature based morphing tool that can rapidly morph existing FE and CFD models to match new geometry and/or to new proportions. 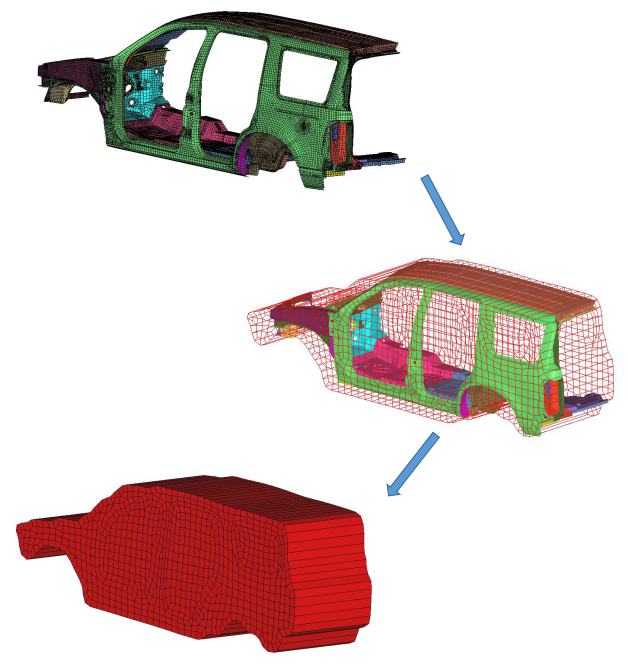 Component and full system level FE/CFD models (such as automotive vehicle crash, NVH and durability models) can be morphed to fit target design features such as styling lines, sections, proportions etc. precisely. A wide variety of morphing techniques such as control block (lower and higher order), direct parabolic, spherical, polycube and field based morphing are available to address varied applications. An extensive set of automated and interactive tools to create ‘control blocks’ for assembly level morphing is available. The Comparison shows that with the help of MeshWorks Morphing techniques the error rectification or design change takes considerably very less amount of time as the change is done on hand directly to the FE model. The overall lead time of the product is drastically reduced with the help of MeshWorks Morphing & thus increase if the overall cycle efficiency. FE Morphing of 2D & 3D Mesh using various types of morphing techniques. Numerous easy and effective ways of Control block creation. Control Block using 2 planes. Blocks using curves & sections and various other methods of block creation. Free-Form (direct) Morphing for more control over the geometry. Free-Form & Control Block method. One time execution of required changes can be easily carried out with use of any one of the morphing methods. Parameterization of required transformations can be saved and generated several designs. Creation of numerous designs using DOE files. Flexibility and full control over various parameters and thus reduced operational time in design generation. Compatibility for interfacing wide range of solvers and platforms with solver dependent template creation. Optimization of joints (Welds/Rigids) within & between the morphing components. Auto Re-mesh and Quality preservation can be done smartly along side morphing . Minimizes time in design modification by directly working at mesh level thus improves the overall lead time. Automatic control block creation methods requires less skill and effort and thus high expertise in control block creation is not necessary. 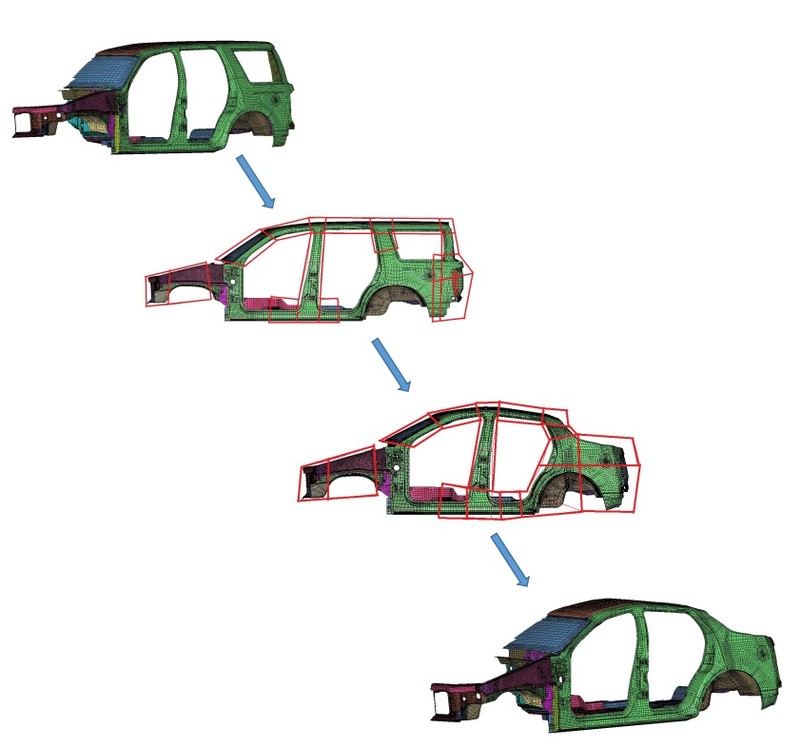 Fast and efficient design creations using parameterized optimization. 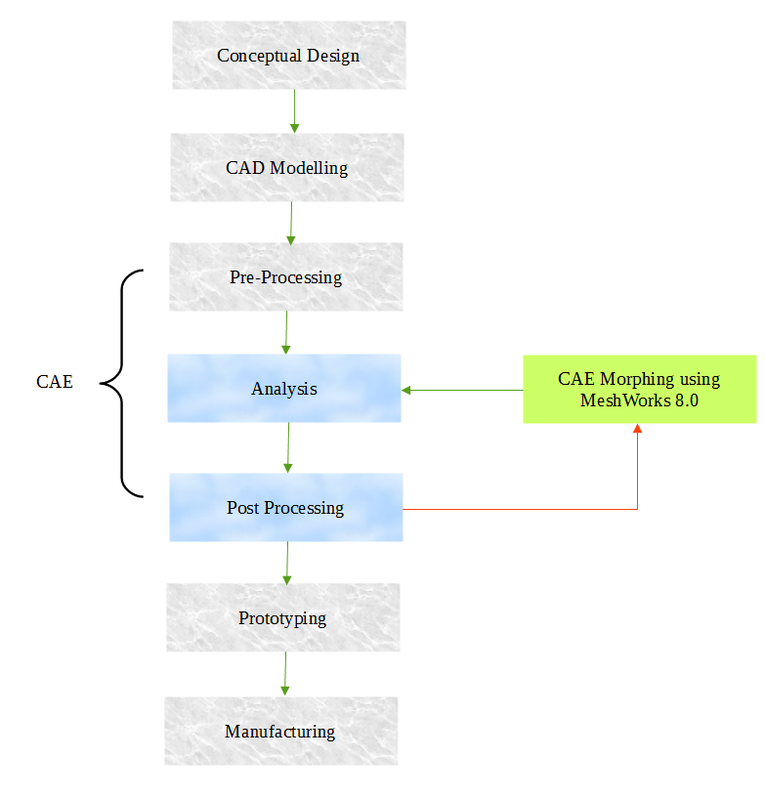 Easy morphing of CAE models from parent design to a new concept or to match design specifications for two components derived from different parent designs. Creation of n number of parameters for different designs for easy trail and error method of design correction.